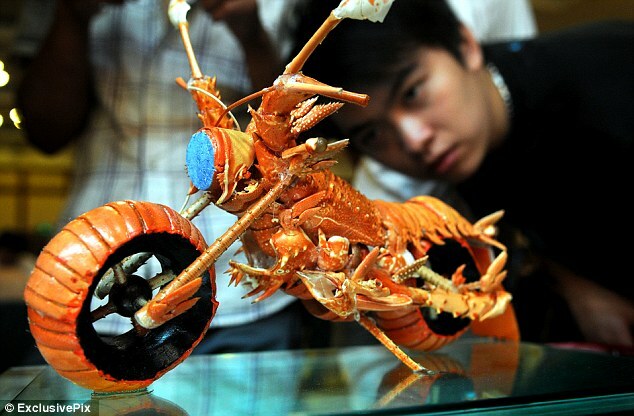 An expensive delicacy, most people do not like seeing good lobster go to waste. 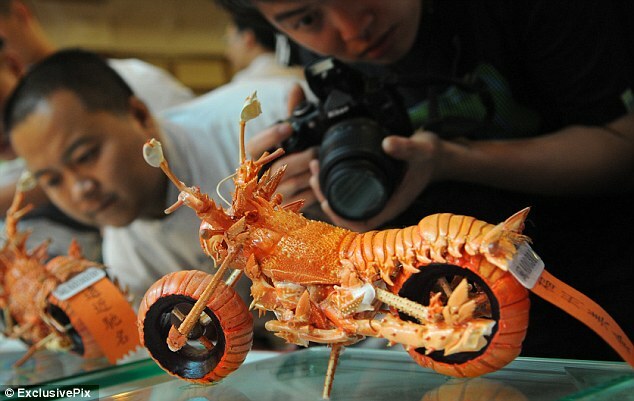 But one chef has gone further in making sure every last inch of the crustaceans is put to use, after creating a collection of miniature motorcycles using its leftover shell. The collection of miniature motorcycles are exhibited in the culinary arts seminar in Chinese province of Fujian in 2013 to the amazement of those in attendance. These artistic creations made by a Taiwanese chef named Huang Mingbo. 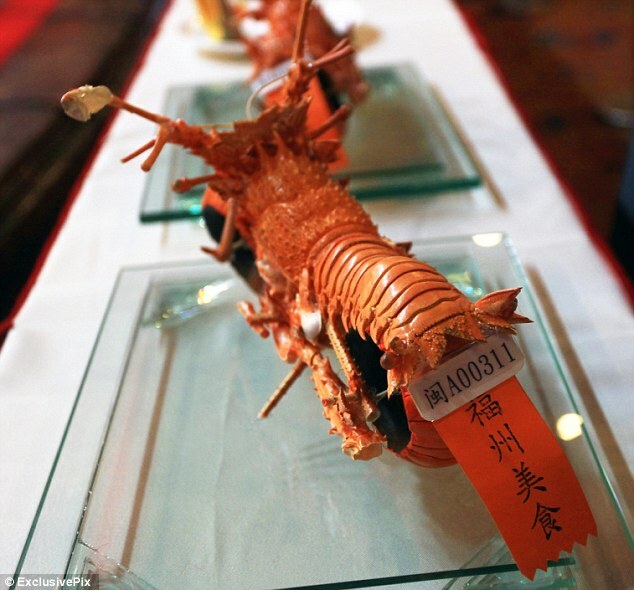 Reportedly, Chef Huang dislikes throwing away colourful crustacean after using it in cooking and made his art works using nothing but leftover lobster shell with amazing details. Where from leftover lobster shell and head are formed into the parts of miniature motorcycles consisting of tires, seats to the handlebar. 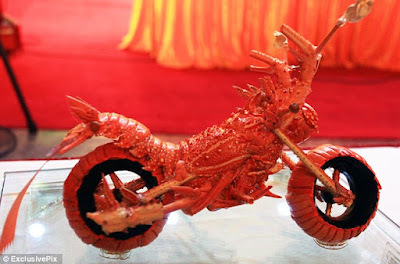 Looks more unique because the food carving specialist used nothing but lobster shell to complete the collection of intricate models which even feature wing mirrors and number plates.